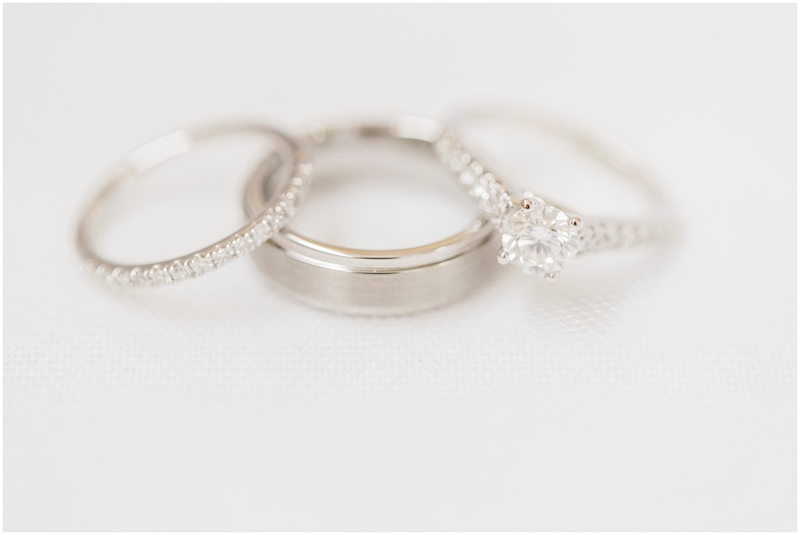 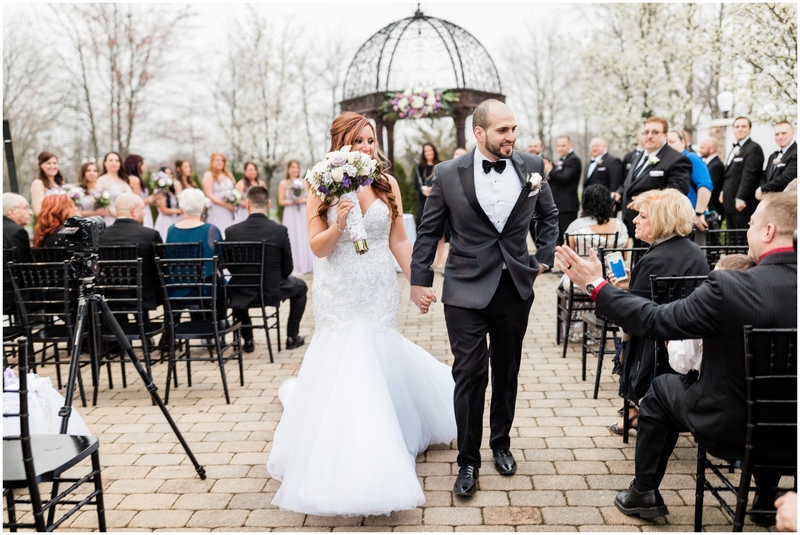 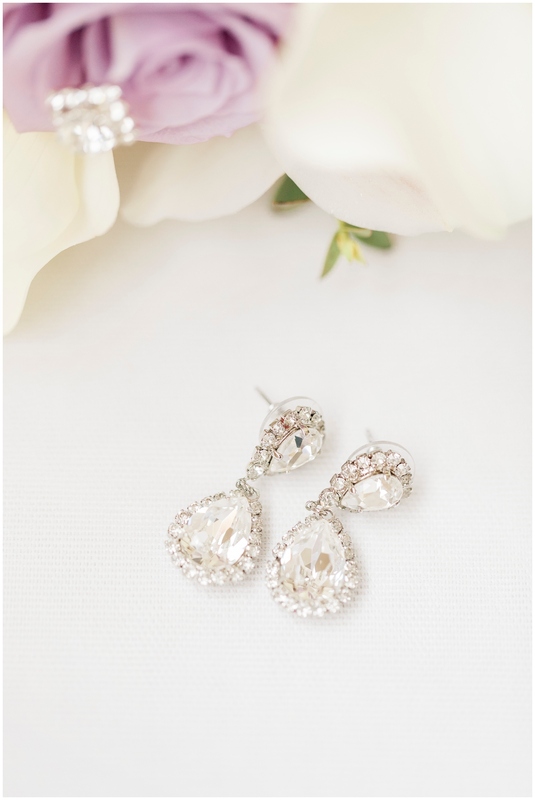 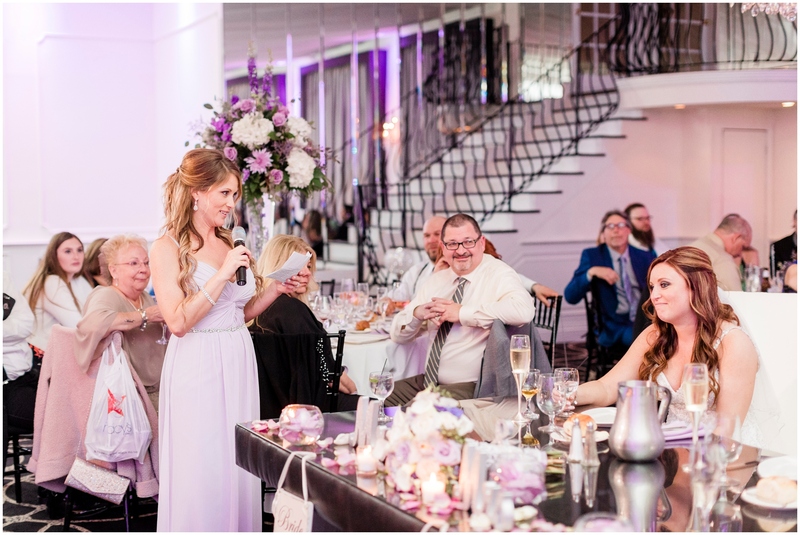 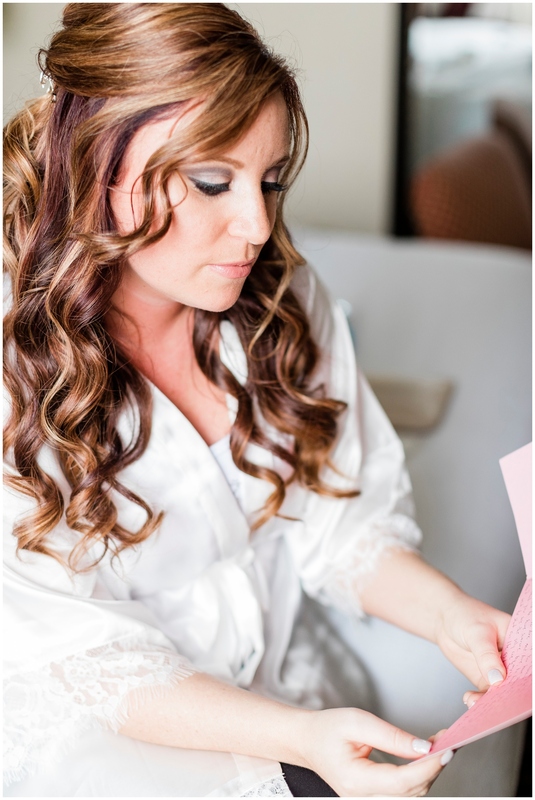 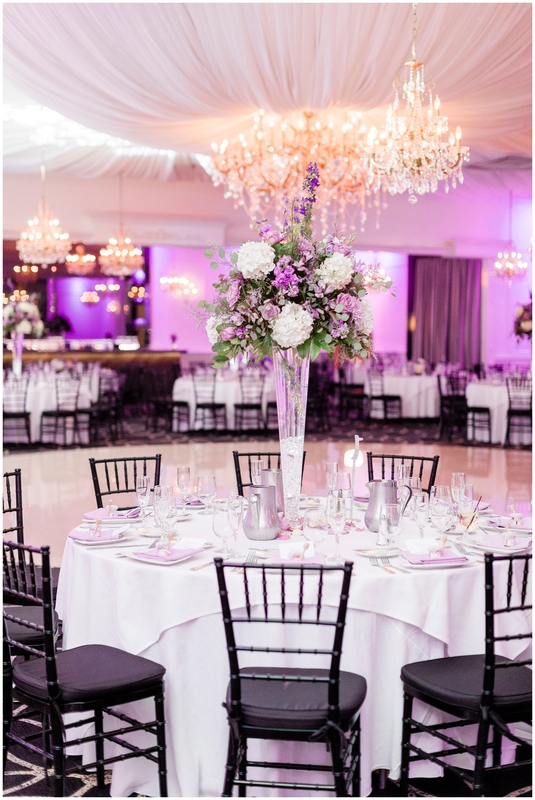 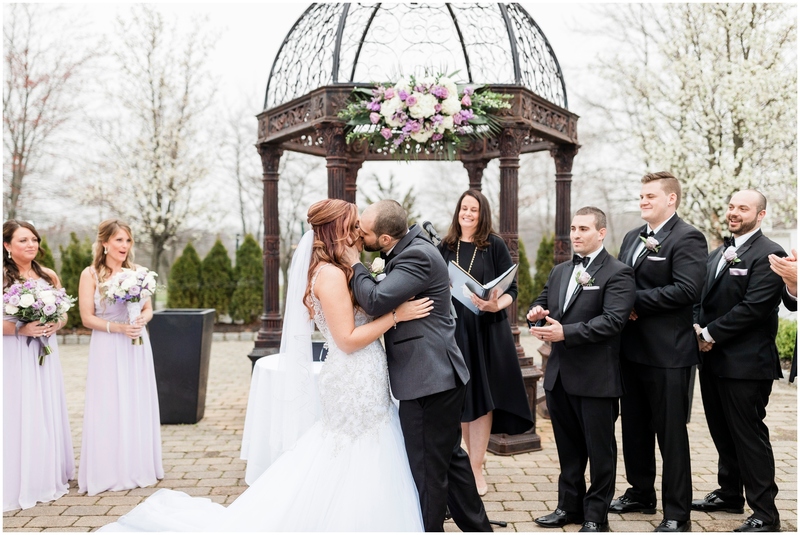 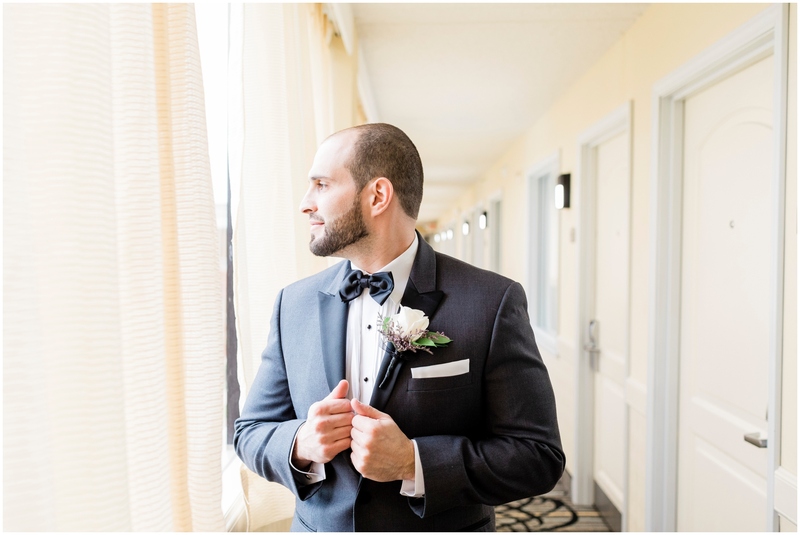 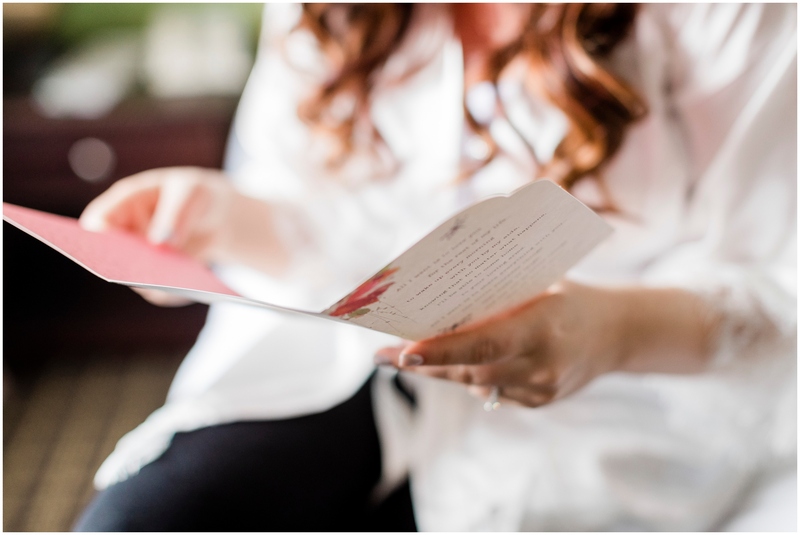 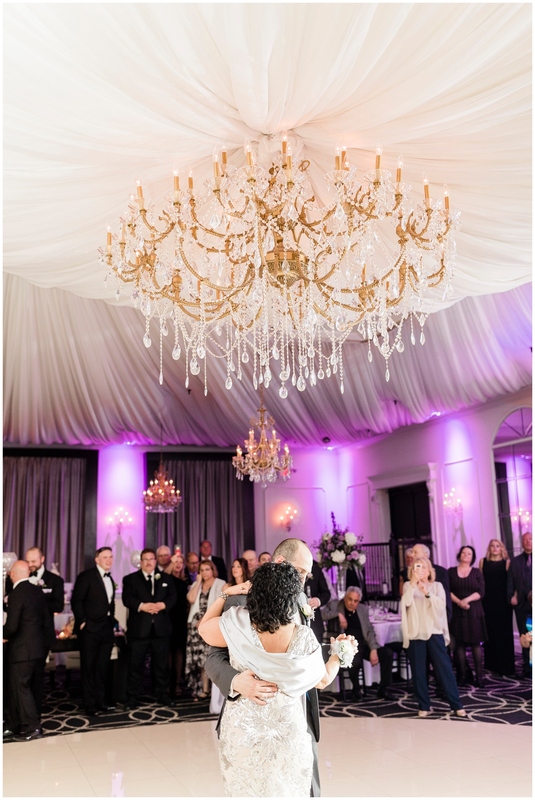 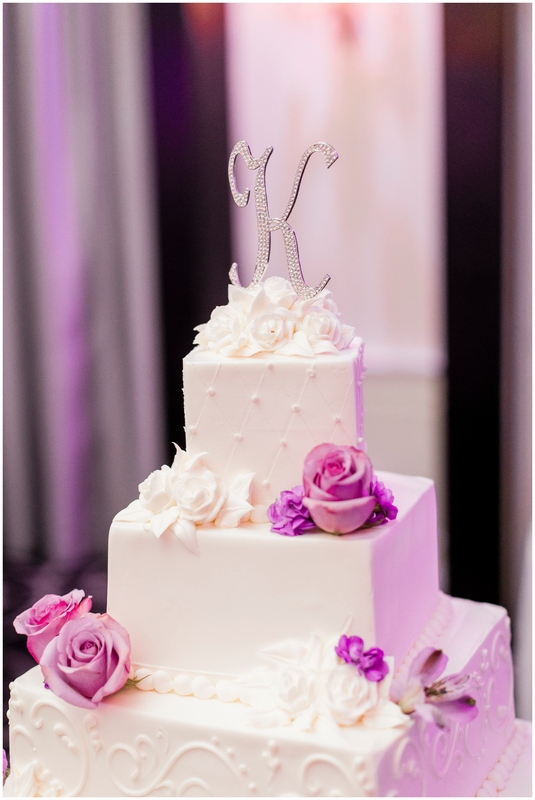 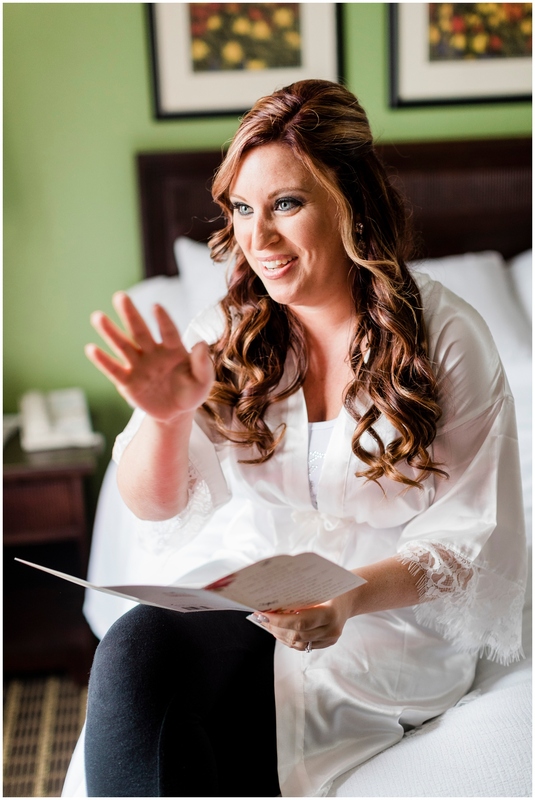 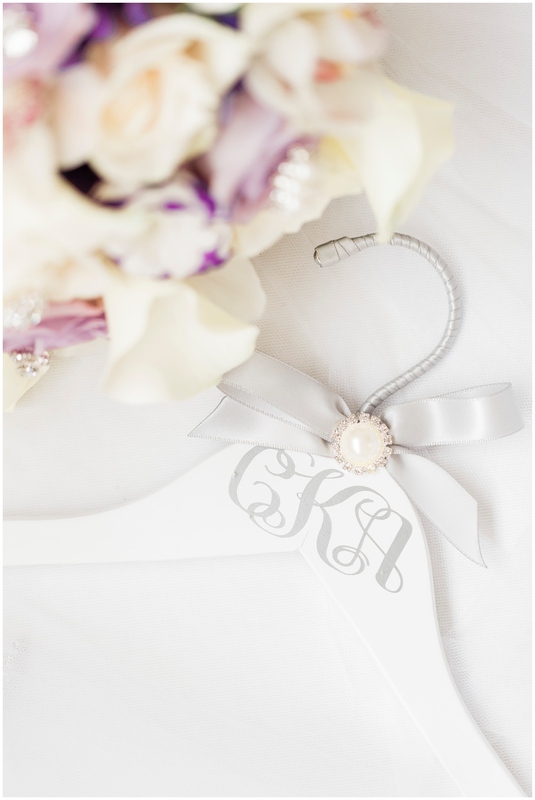 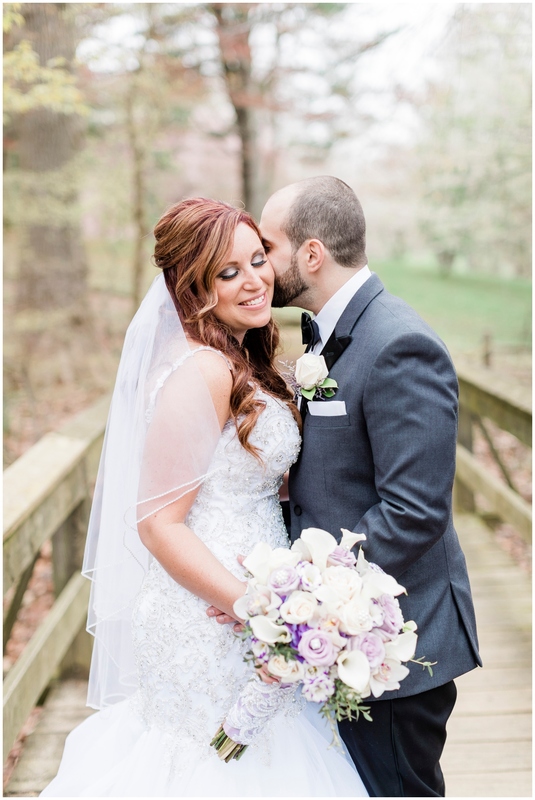 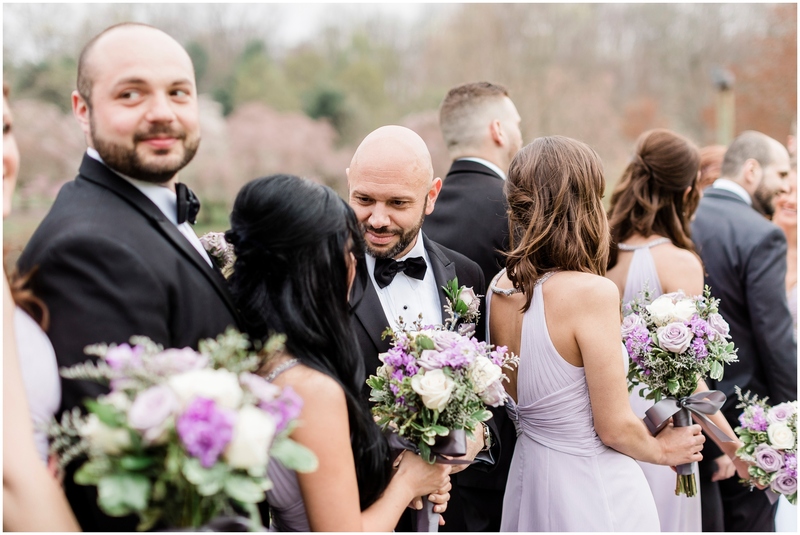 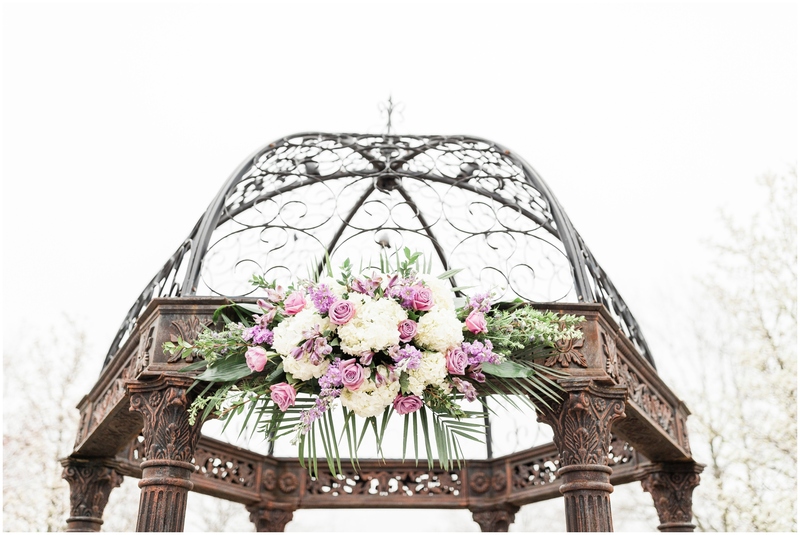 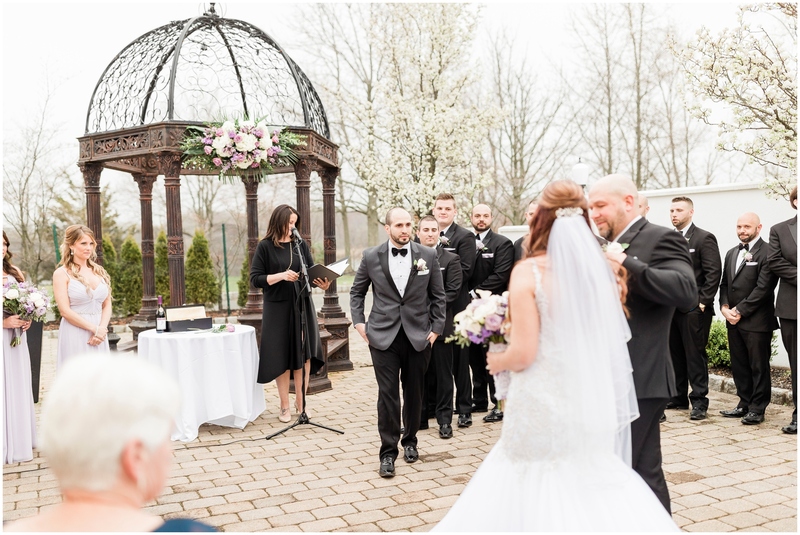 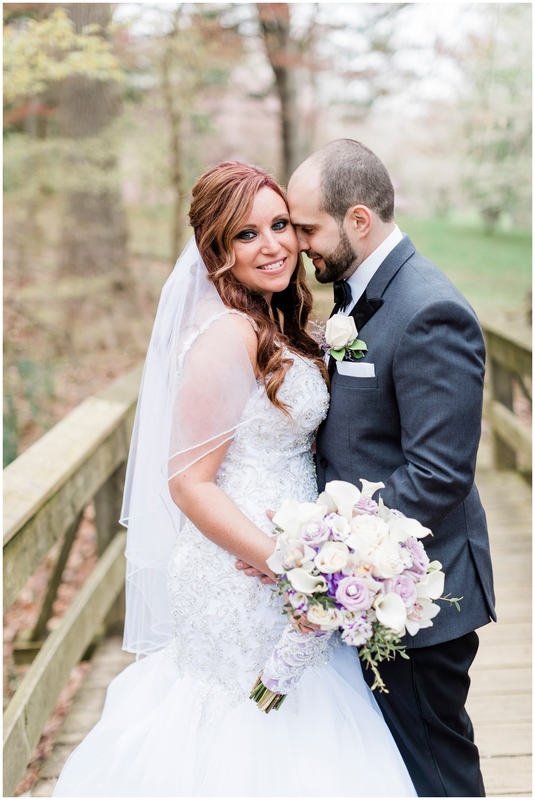 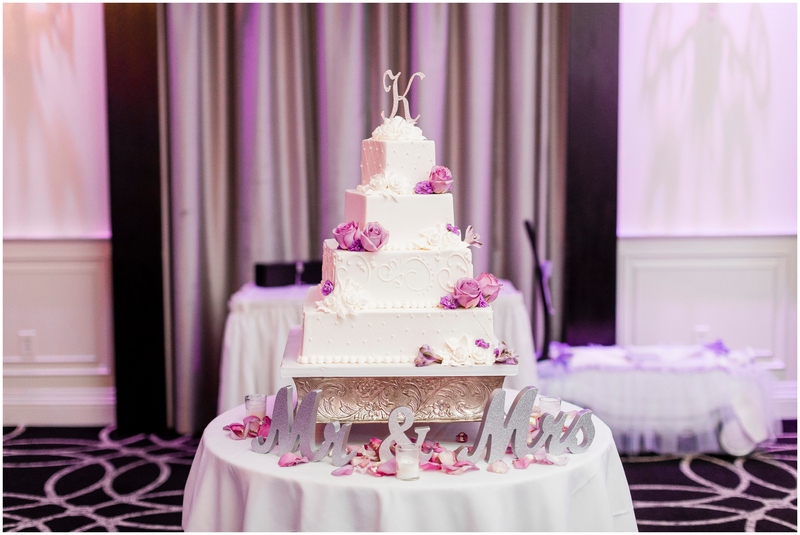 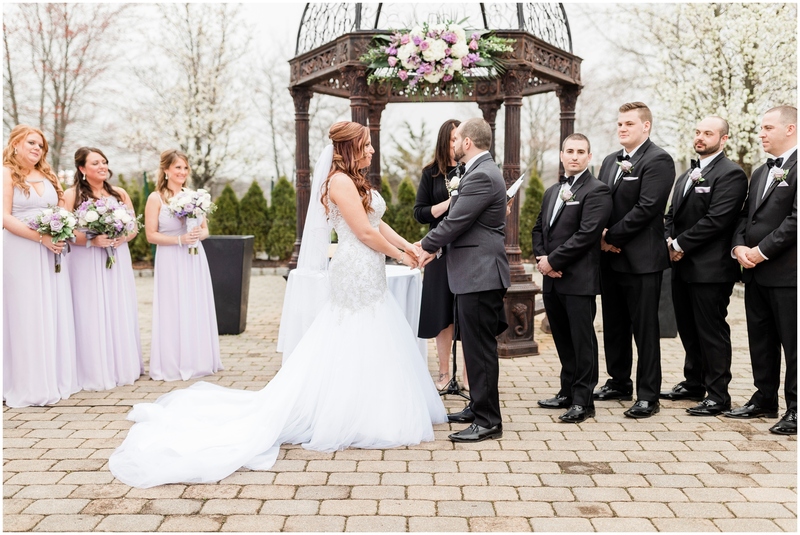 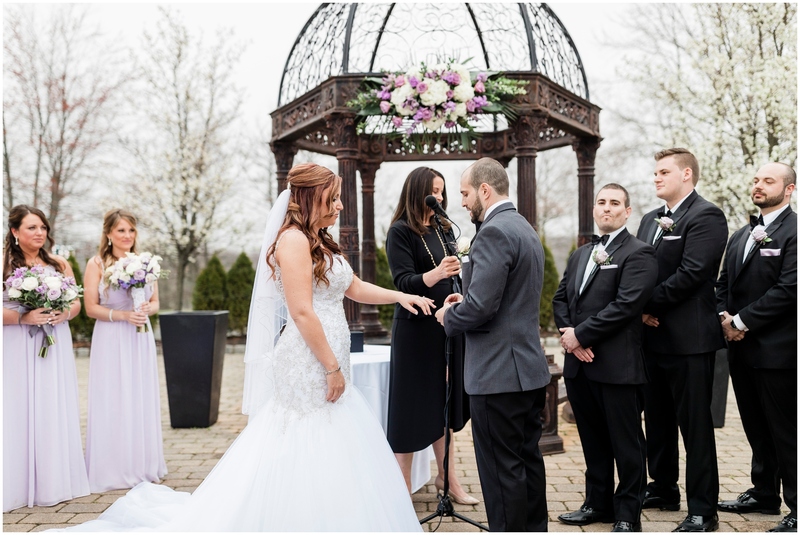 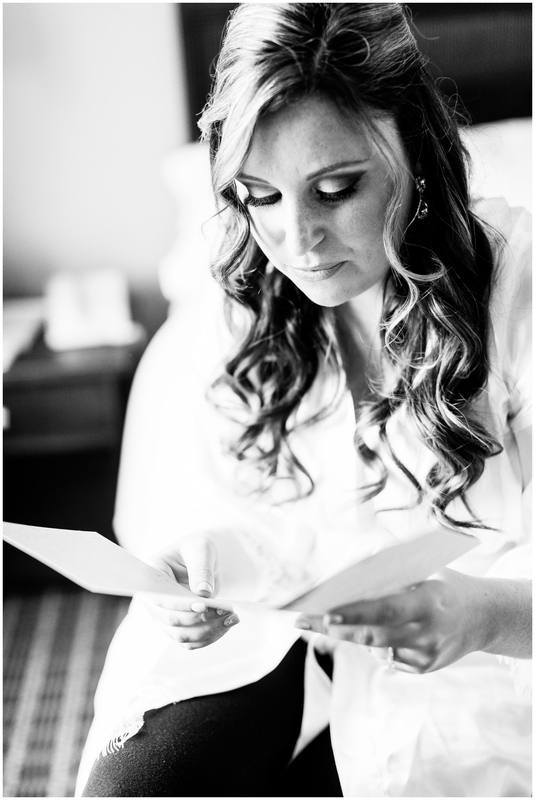 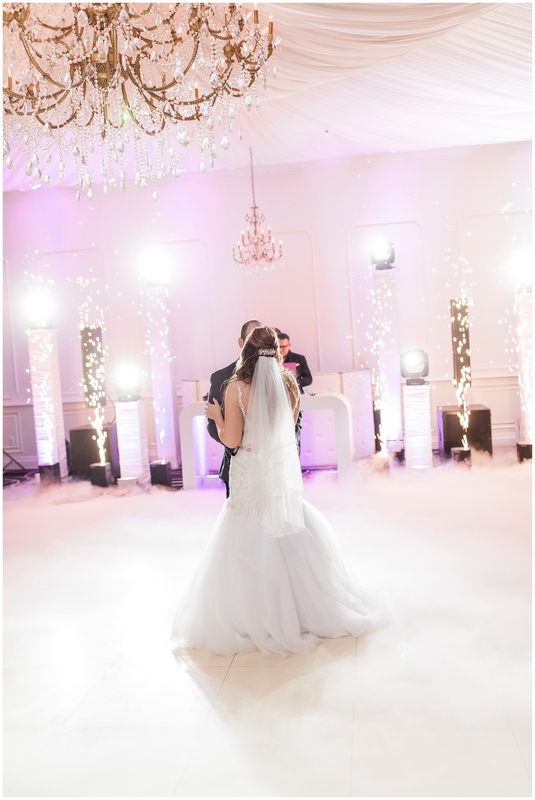 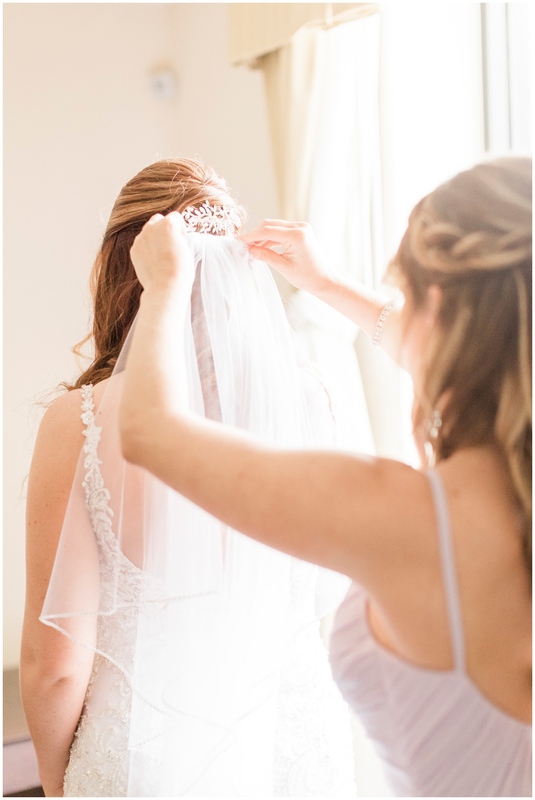 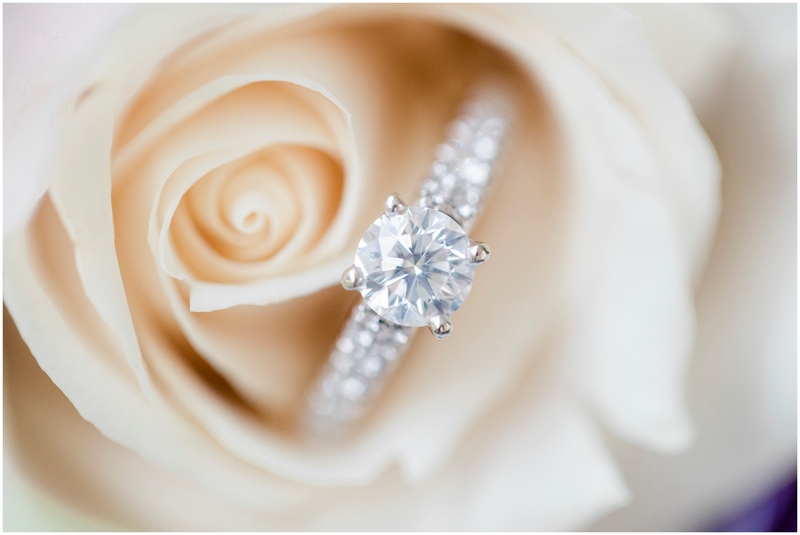 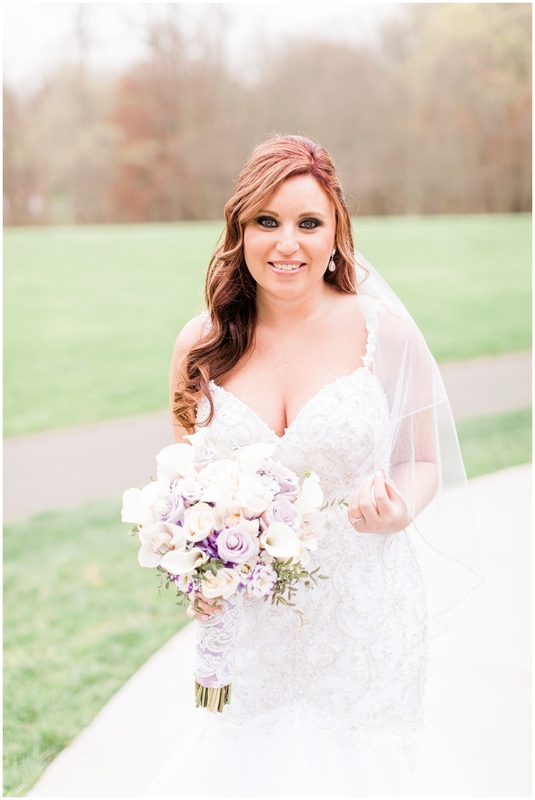 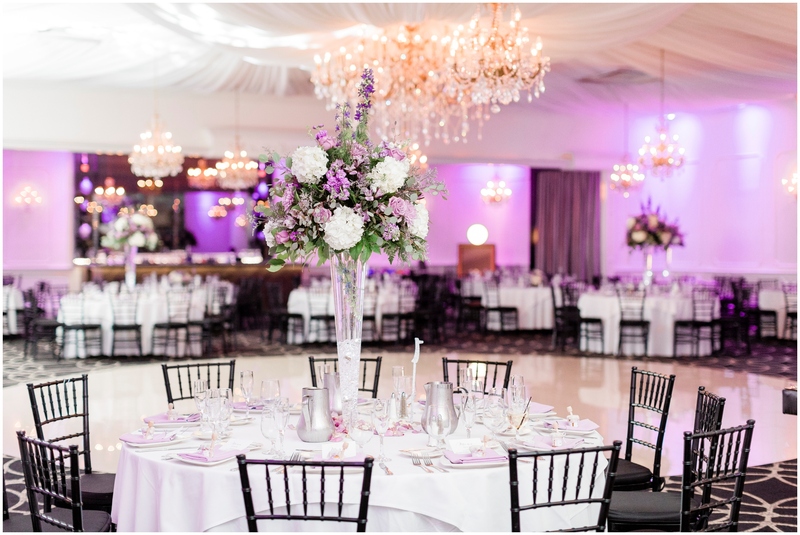 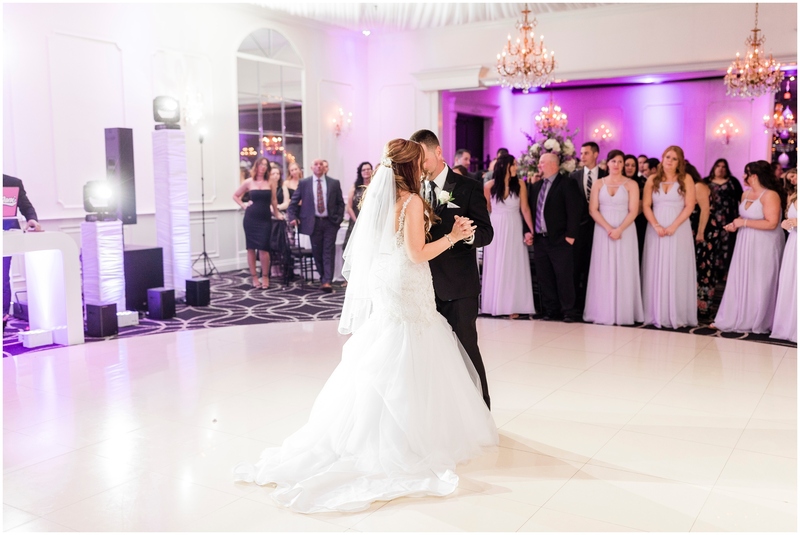 I hope you’re ready for a gorgeous spring wedding at The Gramercy Lakeside Manor, because that’s what I’ve got for you! 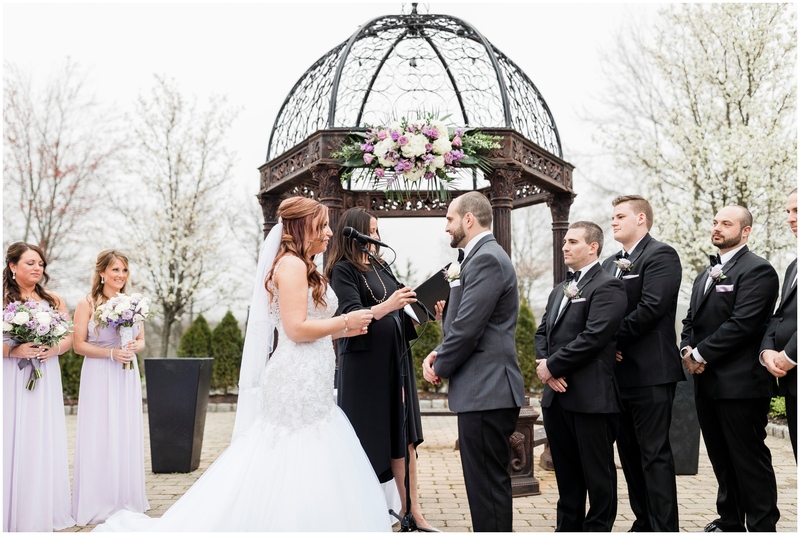 So, some of you might remember that back in 2016, I gave away a wedding. 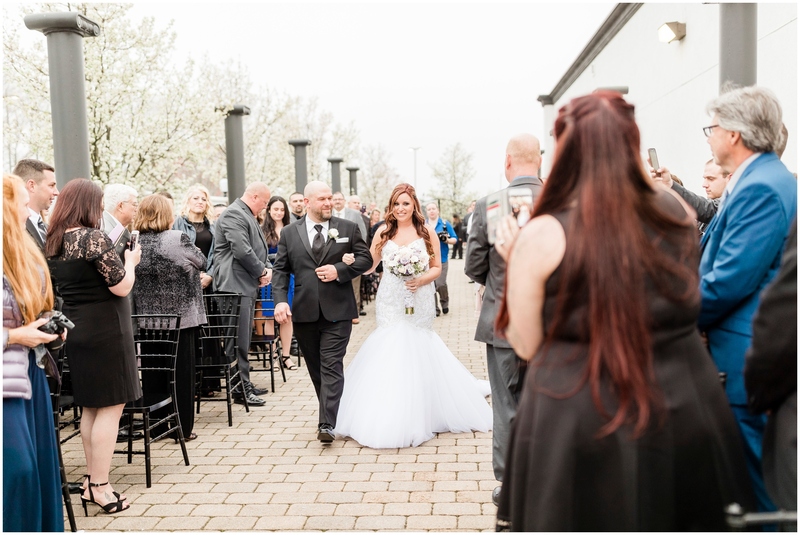 Each year, Associated Humane Popcorn Park has a gigantic fundraiser to raise money for all the awesome work that they do, and I had tried to figure out a way to get some extra money for them. 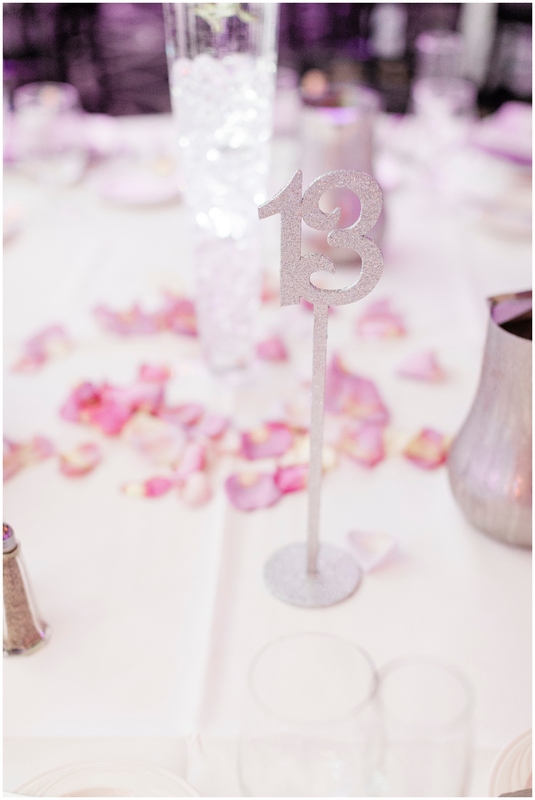 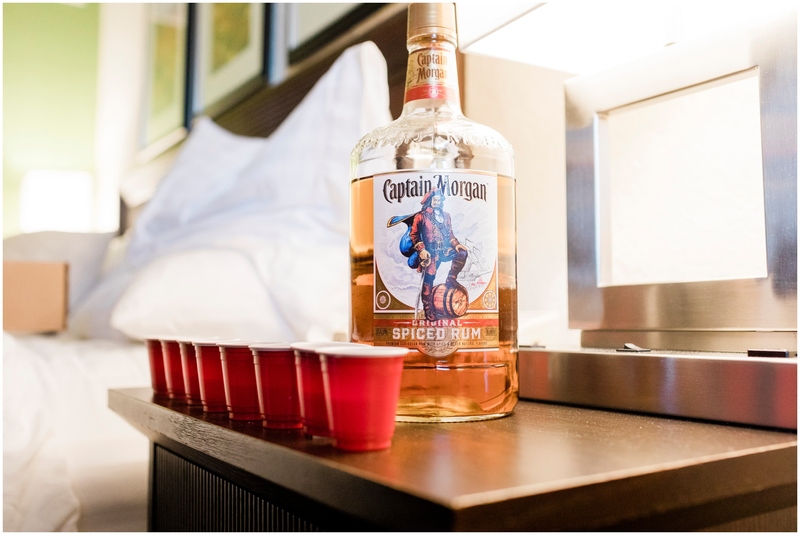 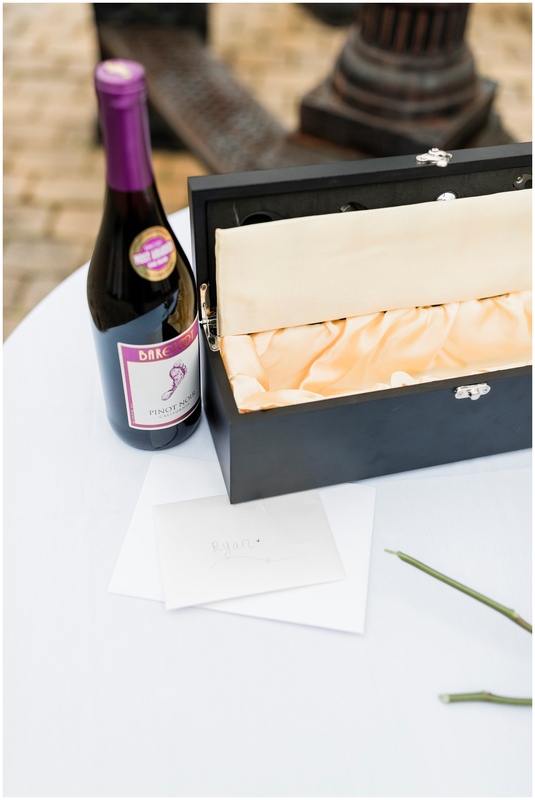 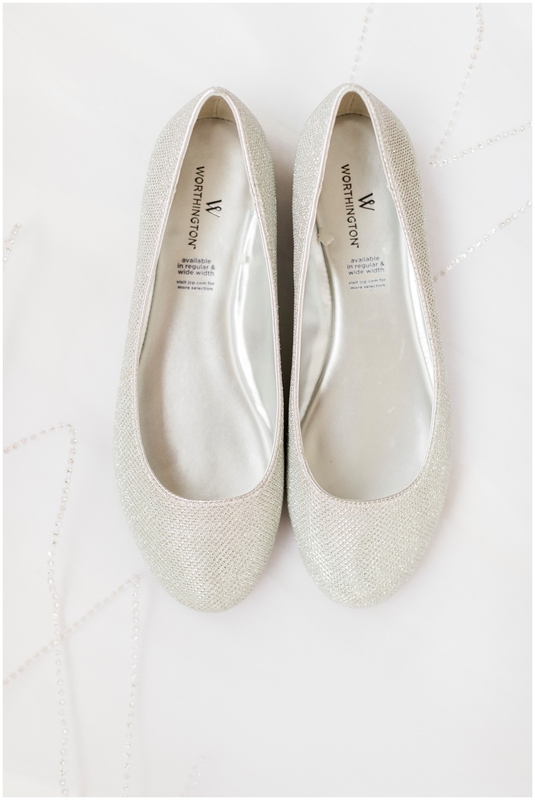 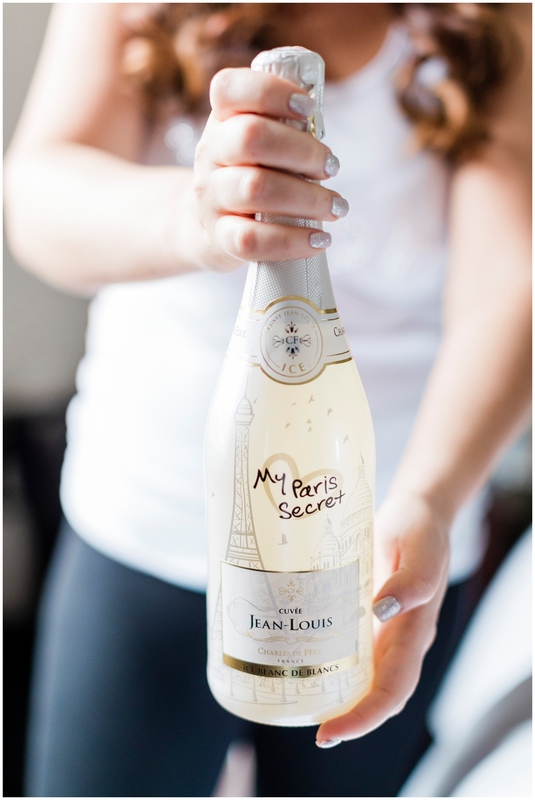 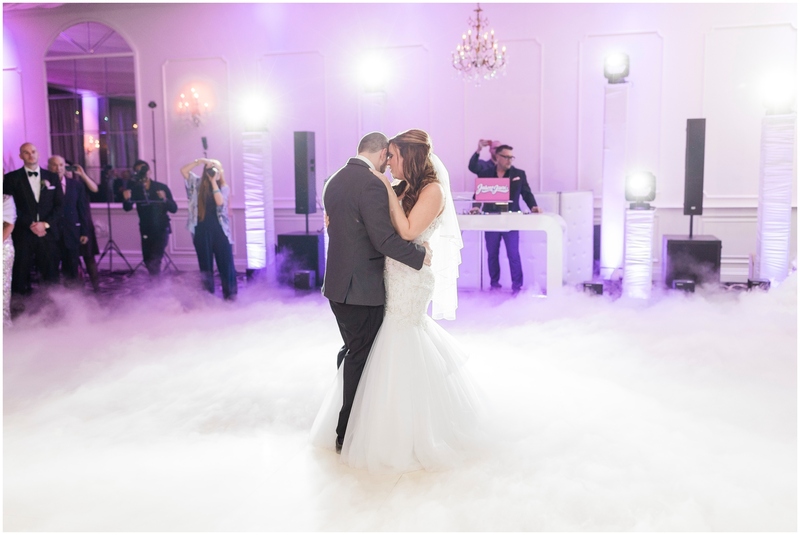 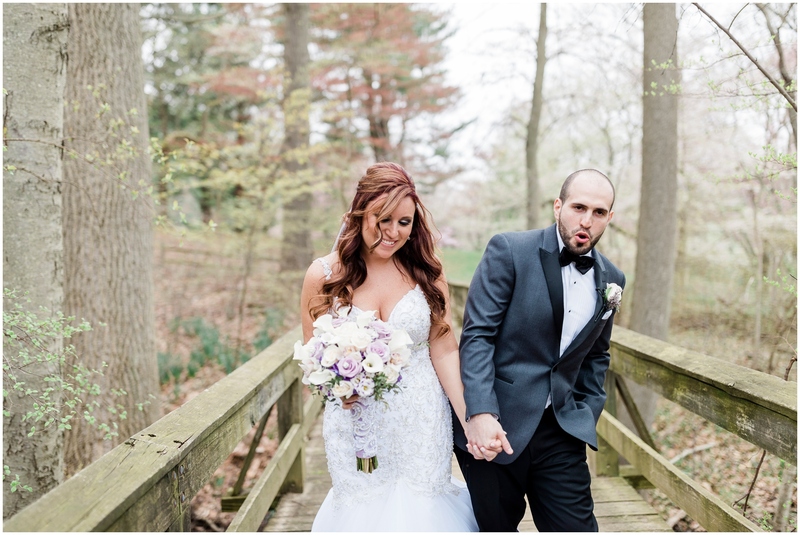 Being a wedding photographer, I figured that I would give away a wedding! 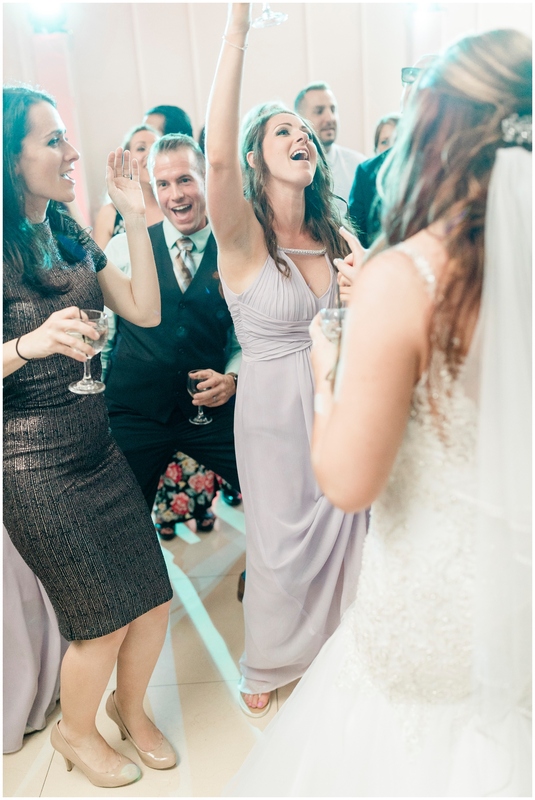 I had been a little nervous, largely because I had no idea who would win the wedding (and would they like me?!) 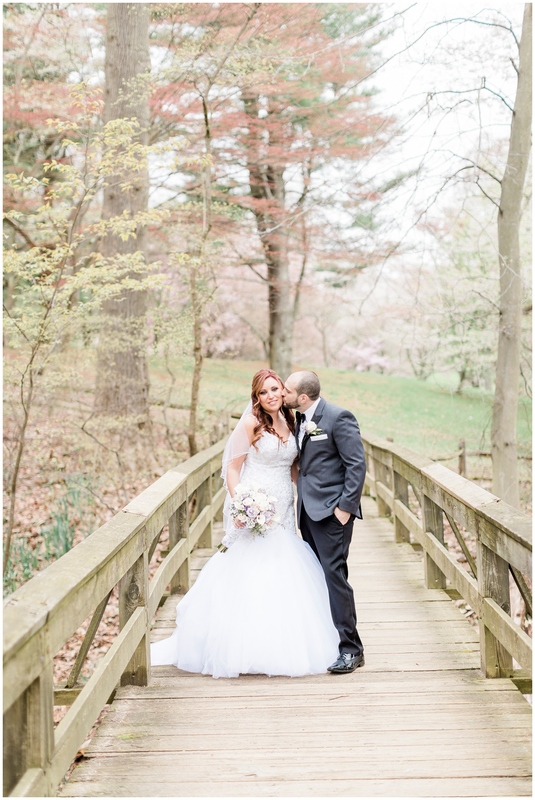 but as it turned out, all things work out in the end, and I got Corissa and Ryan. 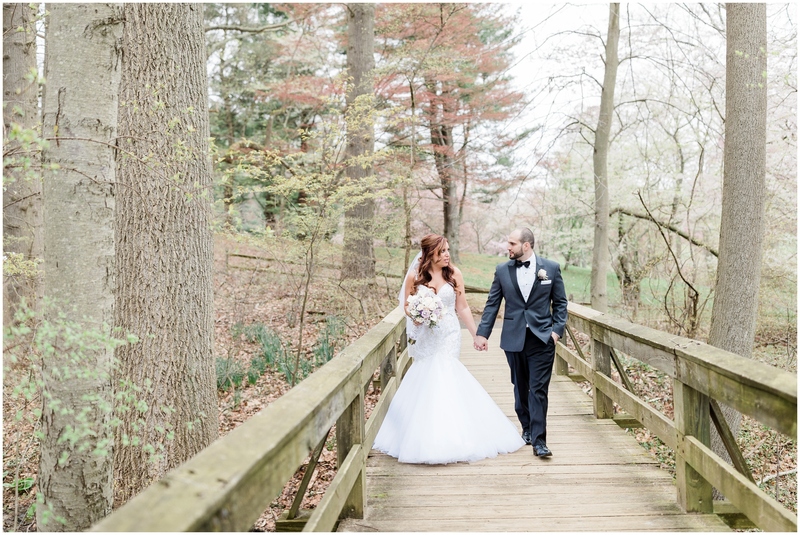 I absolutely could not have asked for a better couple. 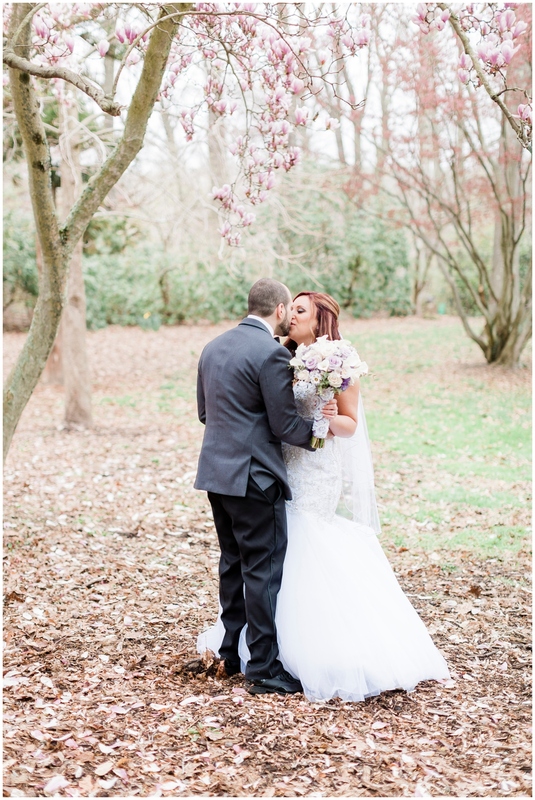 They were literally a perfect fit. 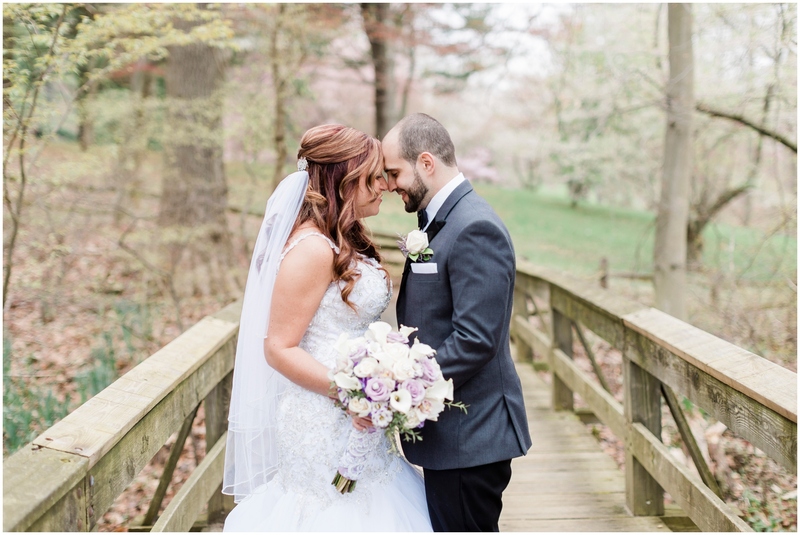 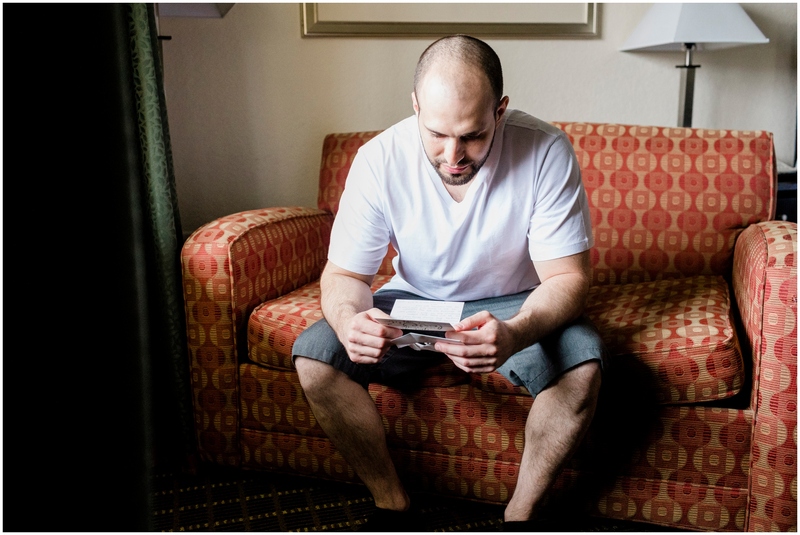 I could not believe how quickly their wedding day rolled around. 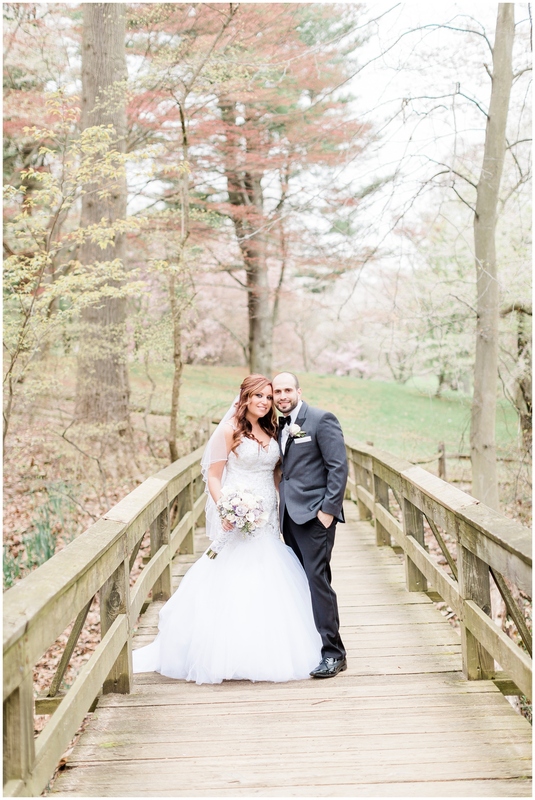 It felt like just yesterday we were doing their engagement session at Sayen Gardens, and then suddenly their wedding day had arrived. 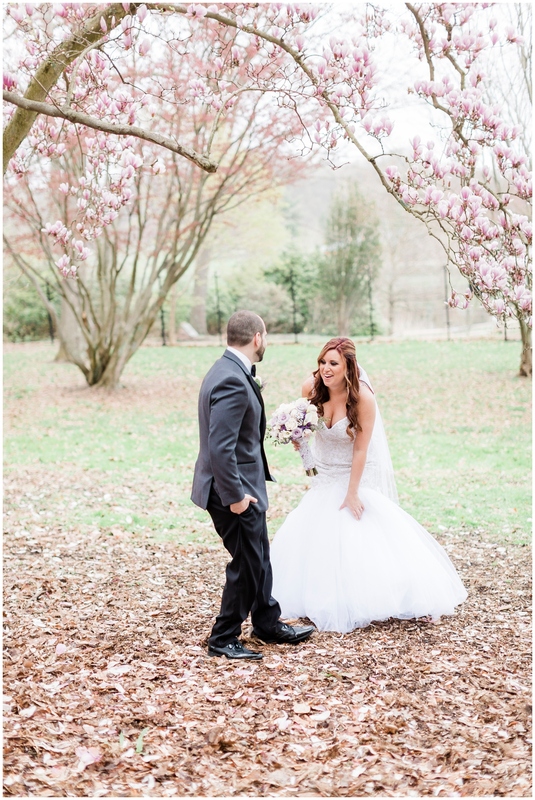 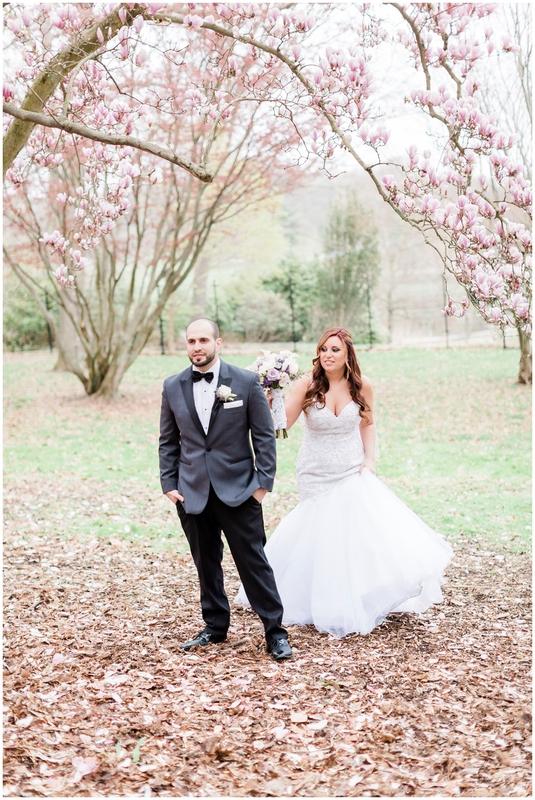 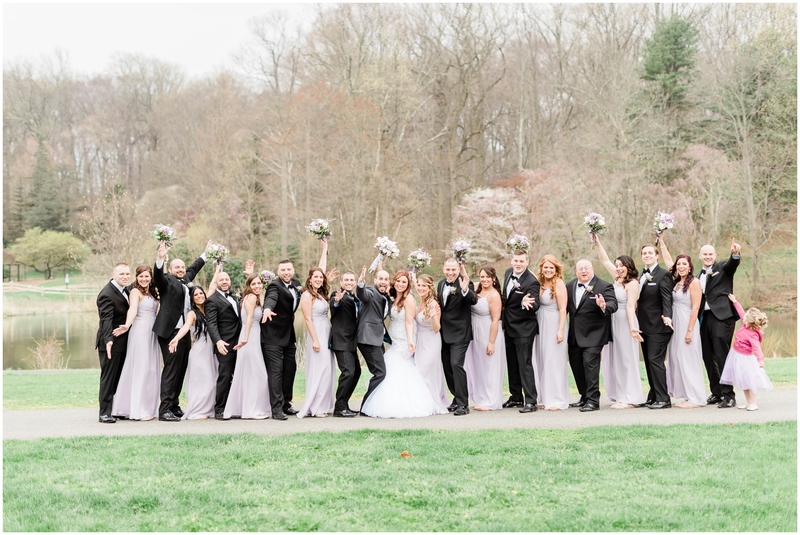 They tied the knot at the gorgeous Gramercy Lakeside Manor, and we were able to do photos at the beautiful Holmdel Arboretum. 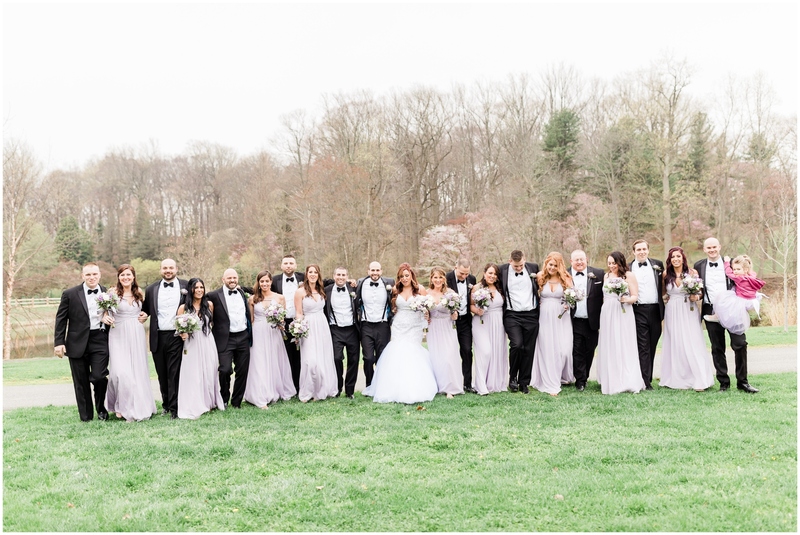 Fortunately the rain stopped just in time for our portraits, and the entire bridal party was super cool and even let me drag them through the mud (thank you, thank you, thank you). 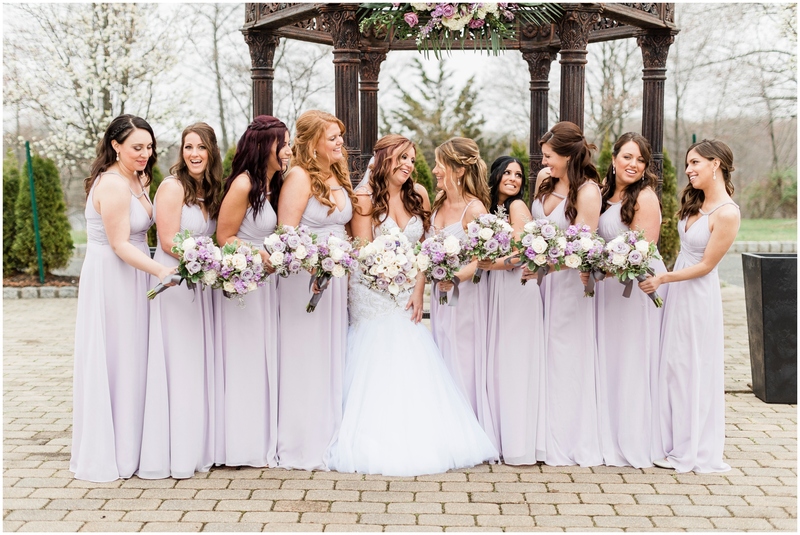 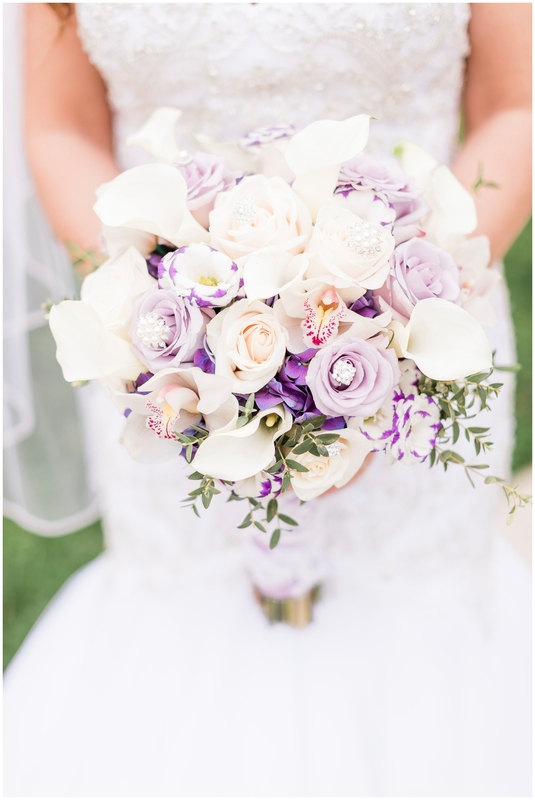 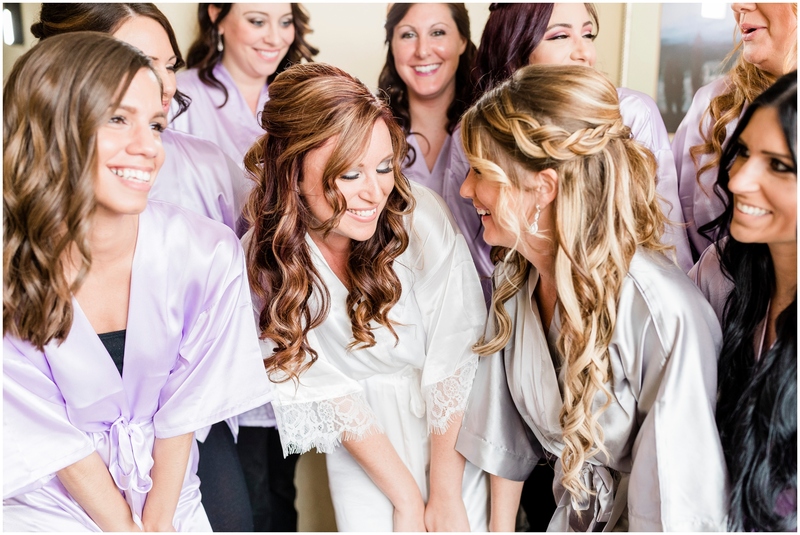 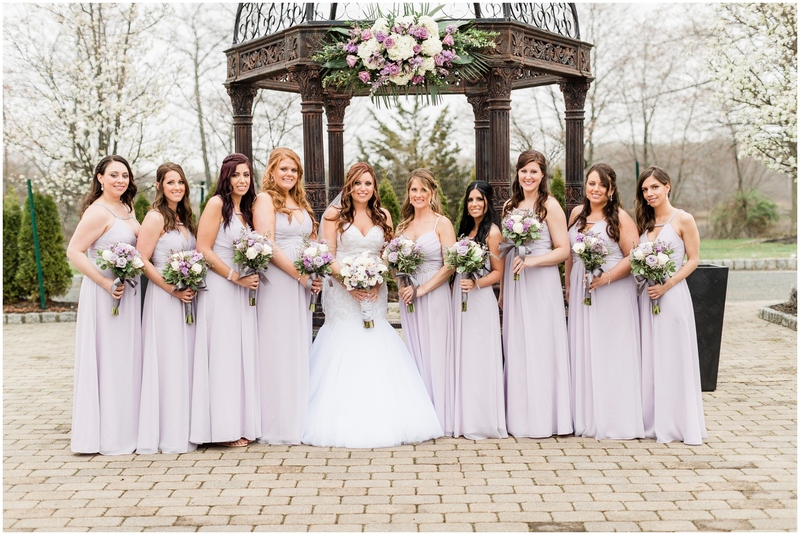 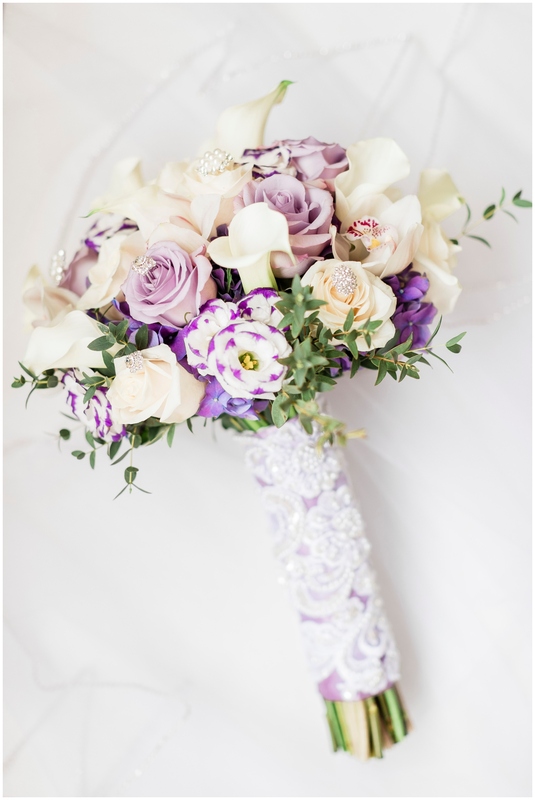 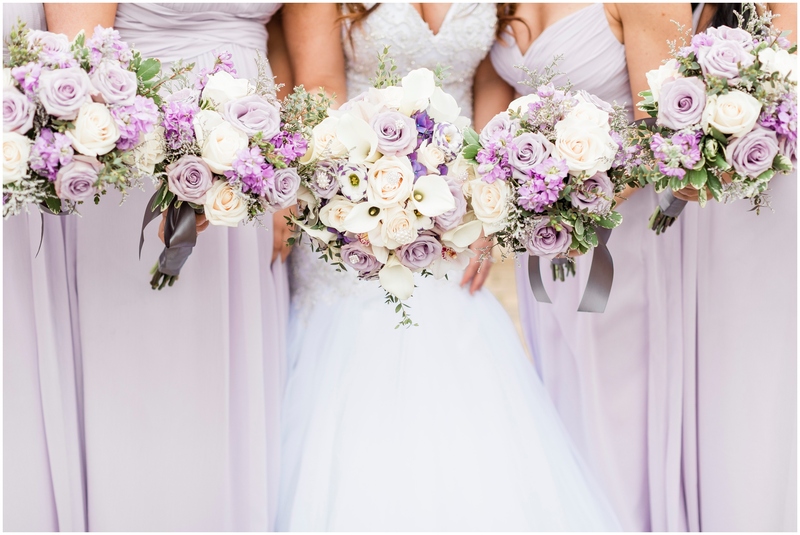 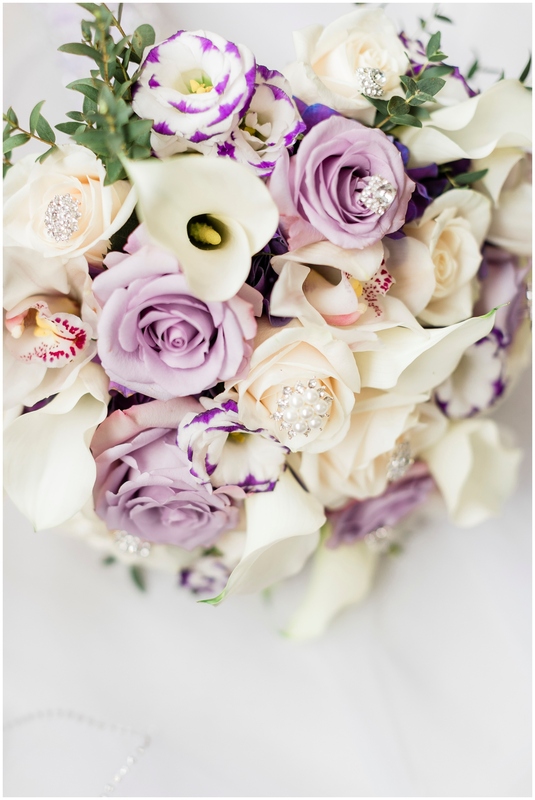 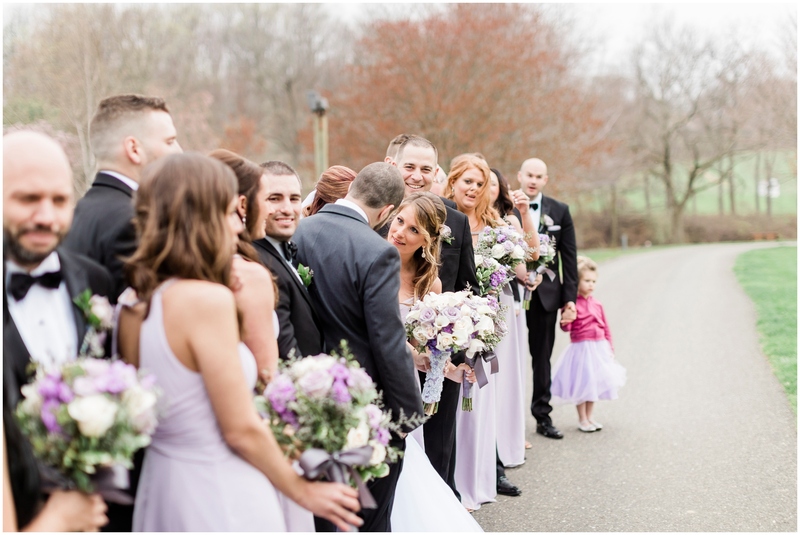 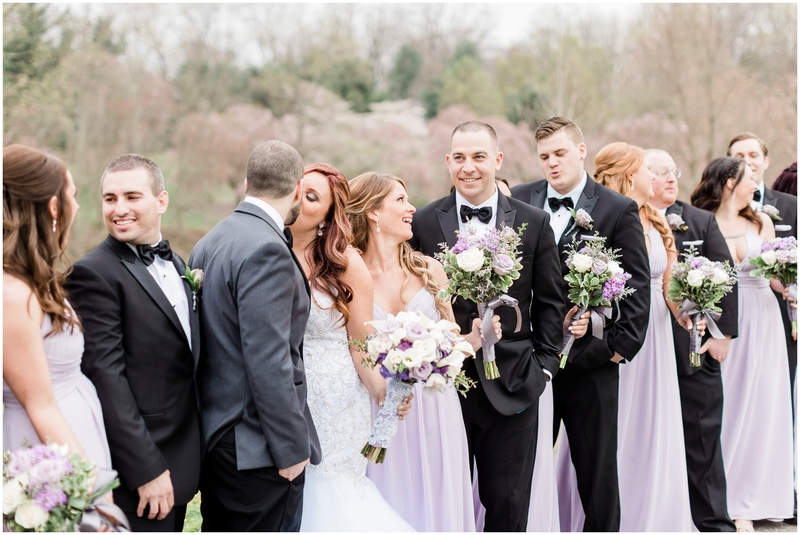 Corissa’s bridesmaids wore lilac, and I loved the subtle purple accents throughout the day. 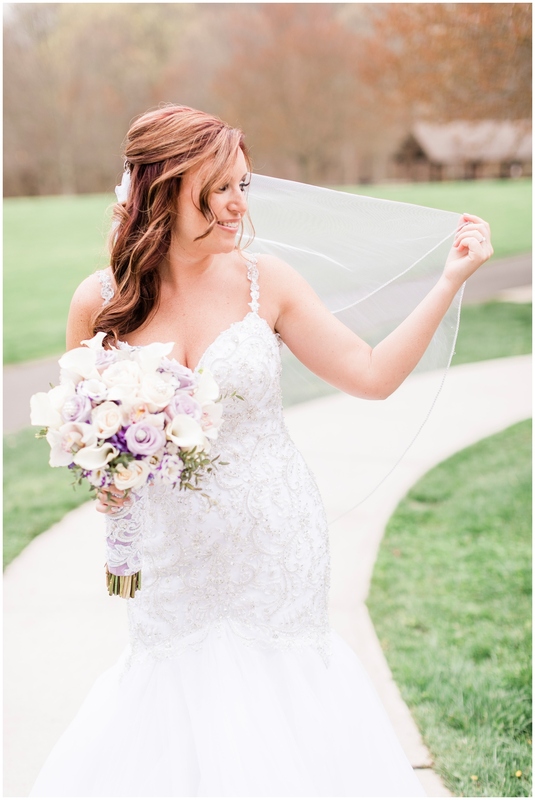 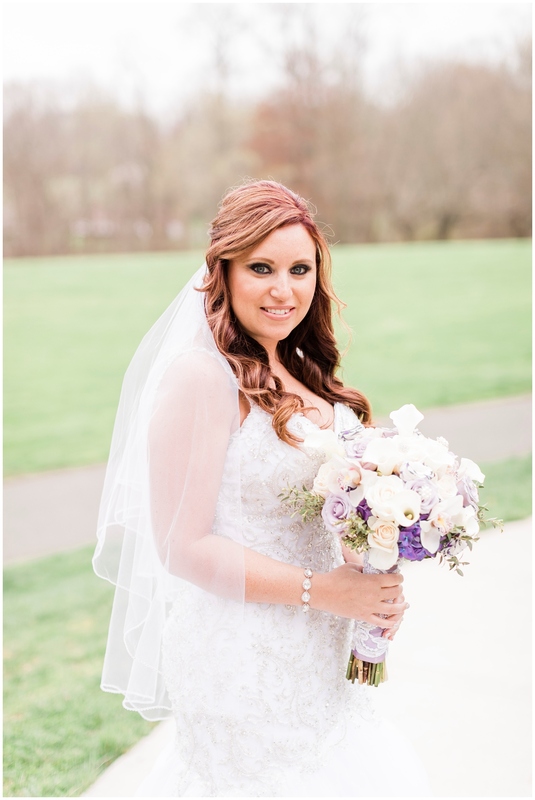 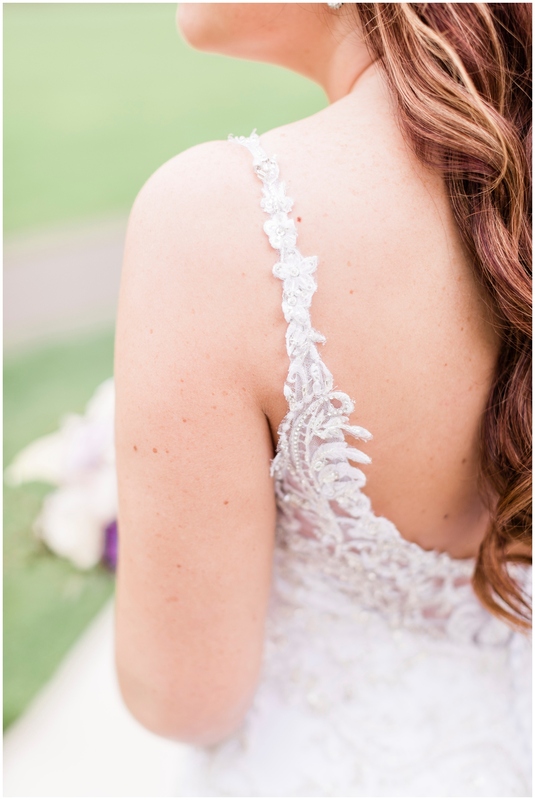 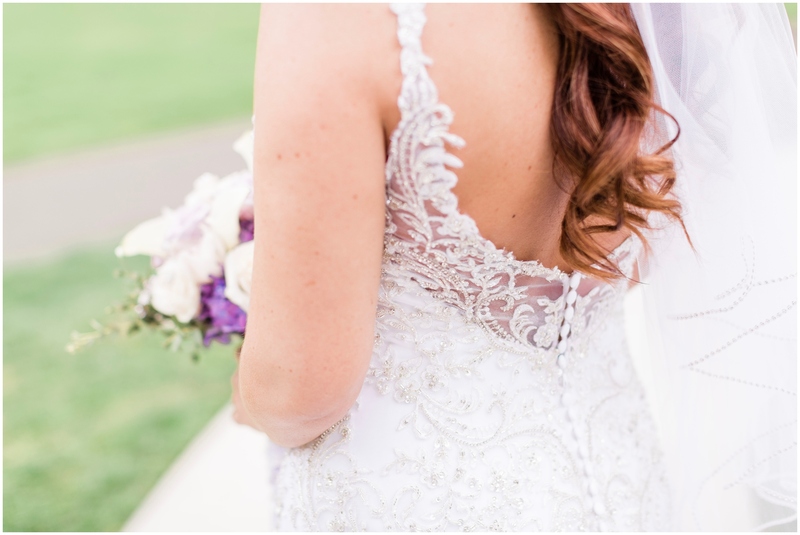 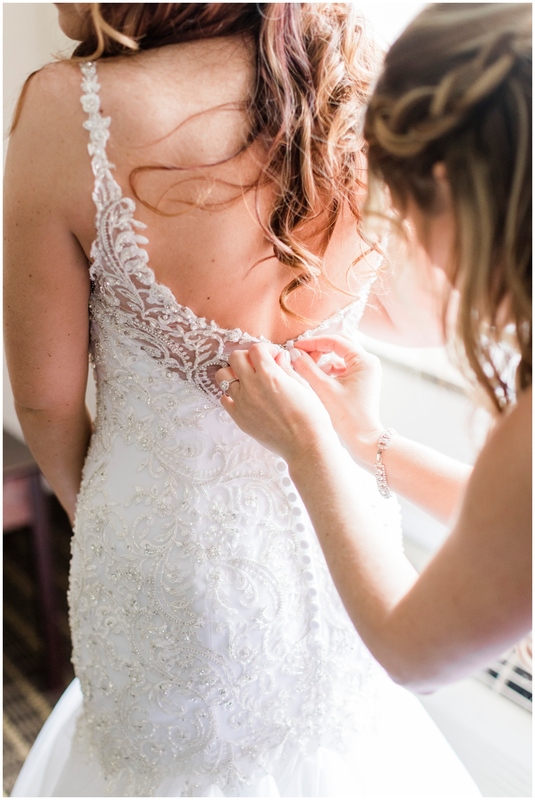 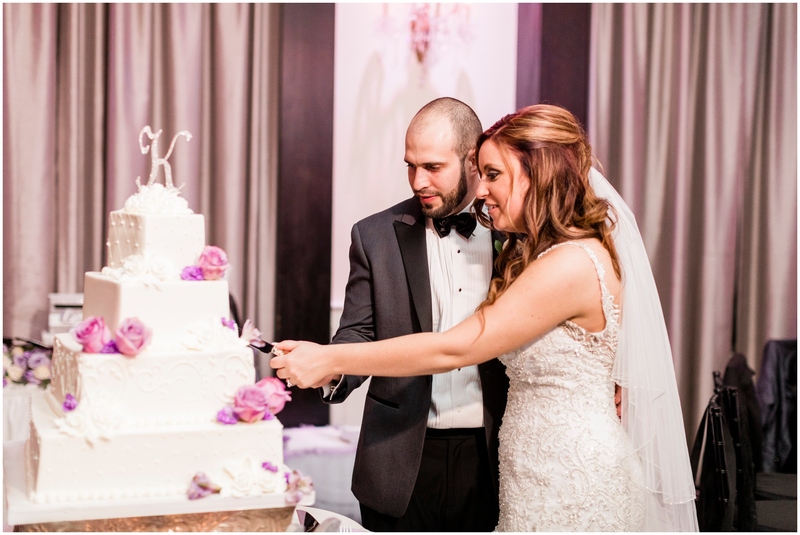 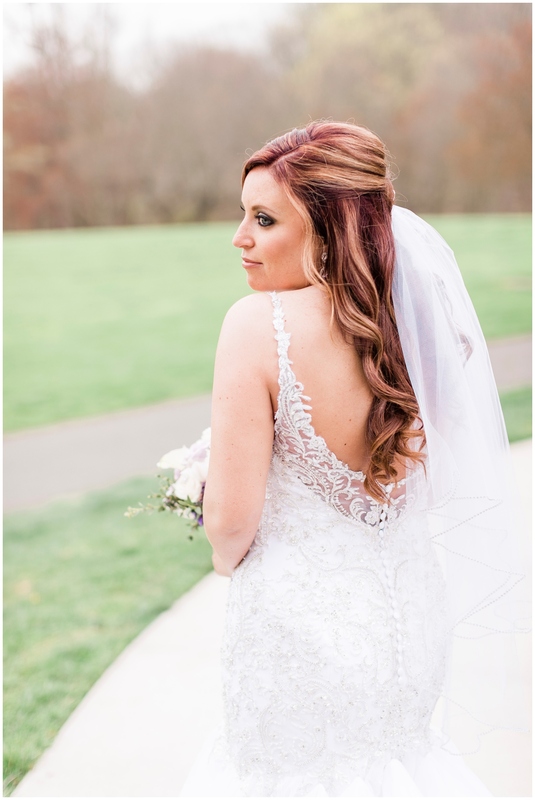 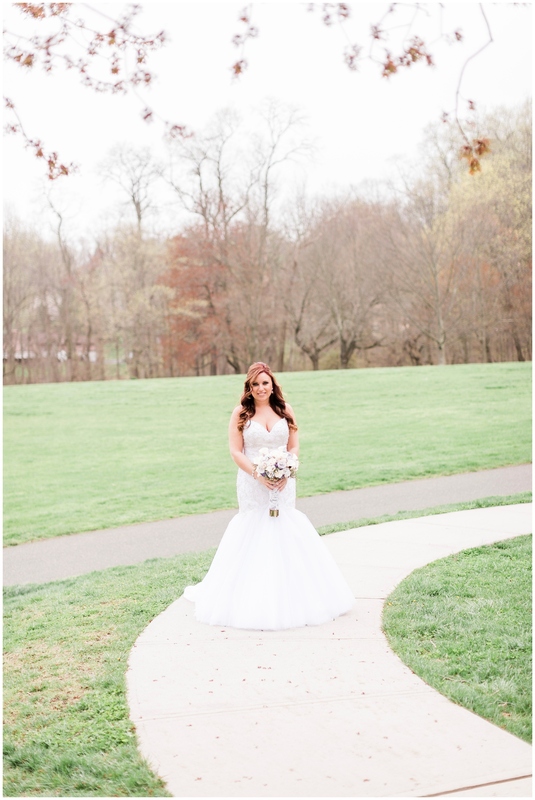 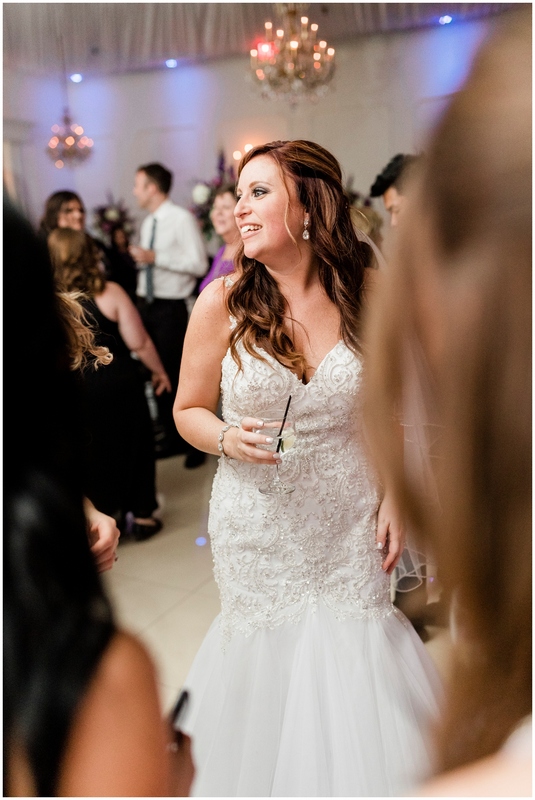 Corissa’s Maggie Sottero gown was a total stunner. 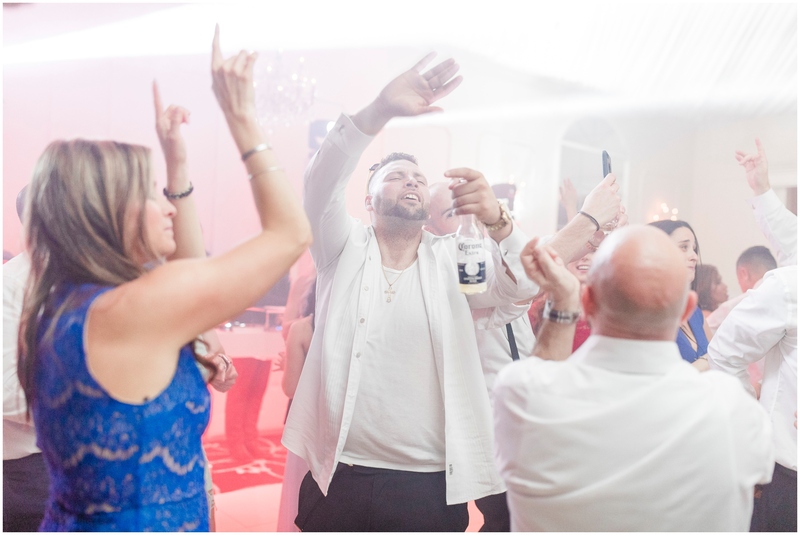 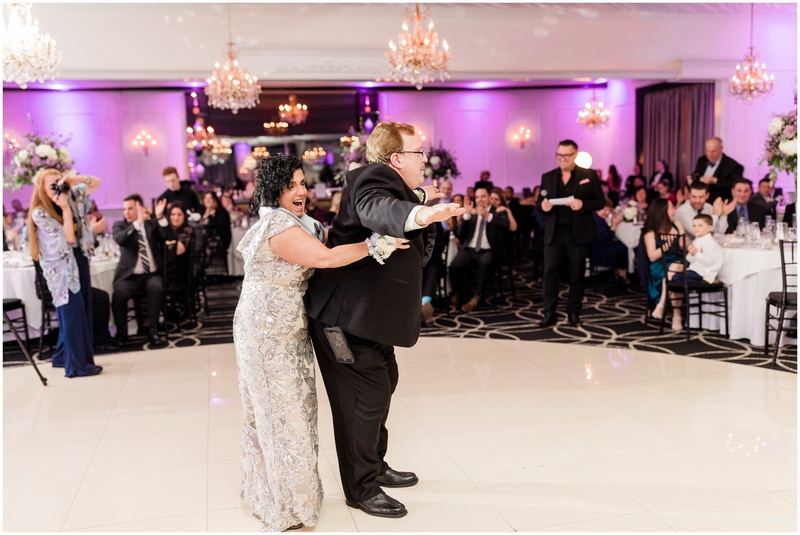 We finished off the night with Jason Jani keeping the dance floor packed, and even throwing in some indoor sparklers (see photos below – they were super cool)!